Let us tell you a little about our history. 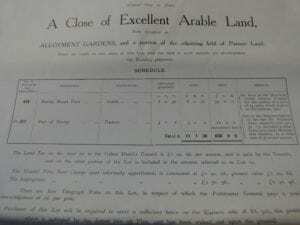 There have been allotments on our site for over 100 years, initially being rented out to plotholders by the then owners, the Bampfylde family, who lived at Poltimore house. 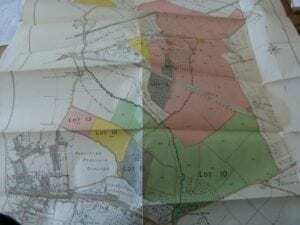 Their estate was made up of thousands of acres and included large swathes of land in Pinhoe, Heavitree and Whipton. 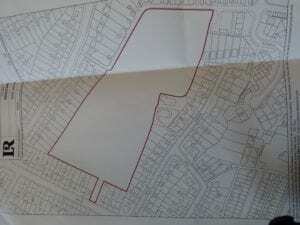 In 1910 the Bampfylde family put up for auction a number of plots of land and farms and the Heavitree Urban District Council acquired the site (some 8 acres) (Lot 11) under the Small Holdings and Allotments Act 1908 on 29/09/1910 from Coplestone Richard George Warwick Bampfylde, 3rd Baron Poltimore for the sum £650. (See map 2, below). 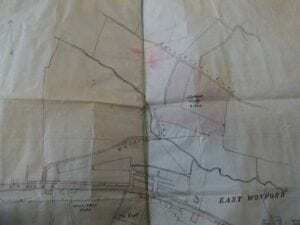 In the 1930’s use of allotment land at the Whipton Lane end was compulsory changed by the Council for the purposes of road widening Whipton Lane. 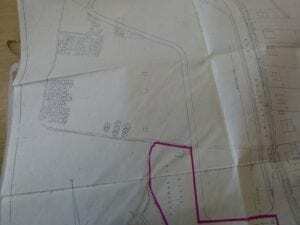 The unused strip of land was then given over to housing development, but the entrance to the allotment site on Whipton Lane was kept.